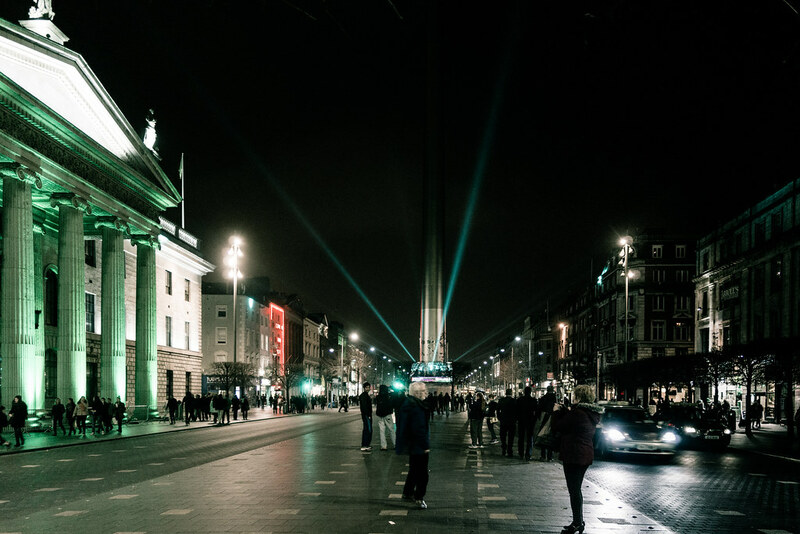 St. Patrick’s Festival celebrations started in style this evening when, for the first time ever, iconic landmark the Spire of Dublin was lit green in collaboration with the UNESCO International Year of Light Ireland 2015. Tonight marks the official opening the four-day St. Patrick’s Festival which begins tomorrow, March 14th. 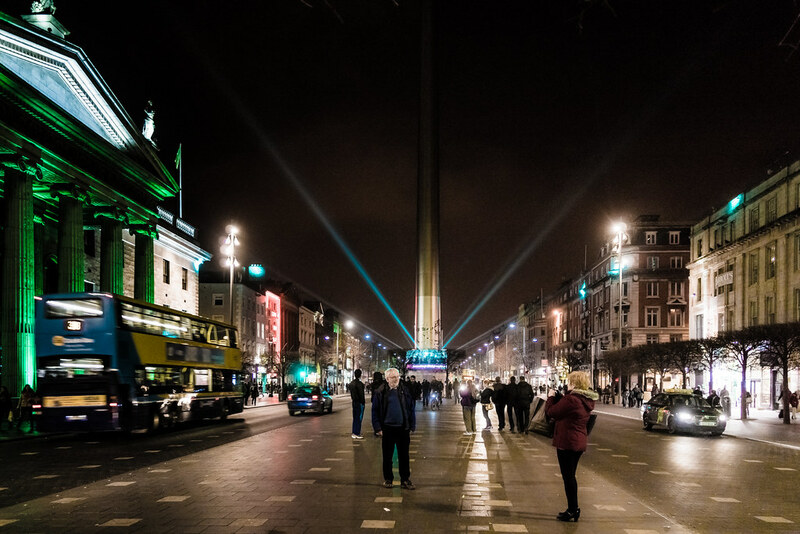 This evening’s proceedings were overseen by Grand Marshal of the 2015 St. Patrick’s Festival Parade, Brendan O’Carroll who pushed the button to light the Spire of Dublin green at 7:15pm. Brendan was joined Susan Kirby, CEO of St. Patrick’s Festival, Professor Martin Leahy NUIG, and Professor John Sheridan UCD, of the National Committee for IYL in Ireland. 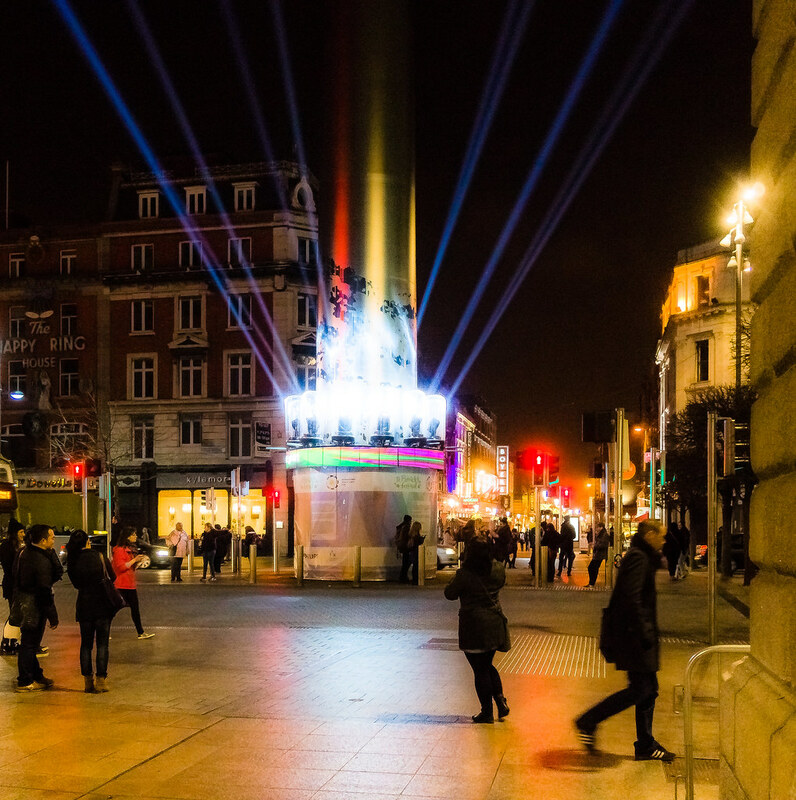 Presented by St. Patrick’s Festival in partnership with UNESCO International Year of Light 2015 Ireland (IYL), the 398ft (121.2m) monument was illuminated in spectacular style, using the latest in light technology, causing a sensation in the heart of Dublin City on O’Connell Street. 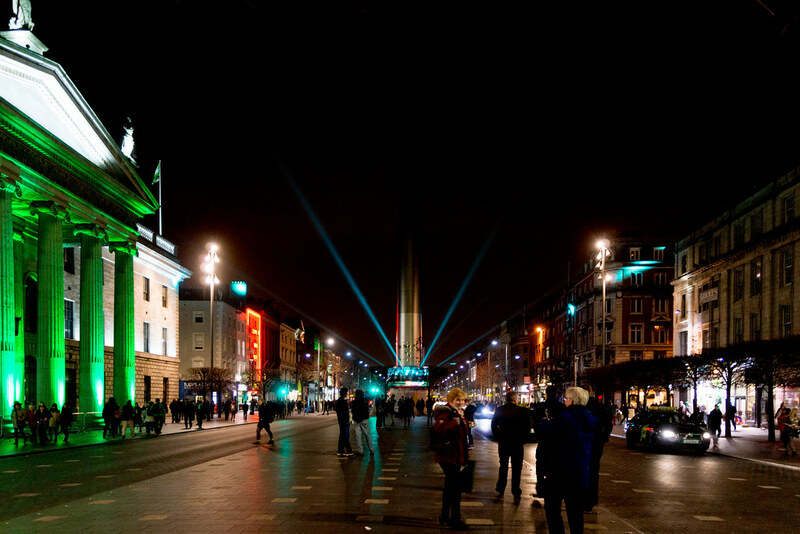 The Spire will also stream a twitter feed displaying tweets with the dedicated #LightIRL over the course of the four-day Festival. 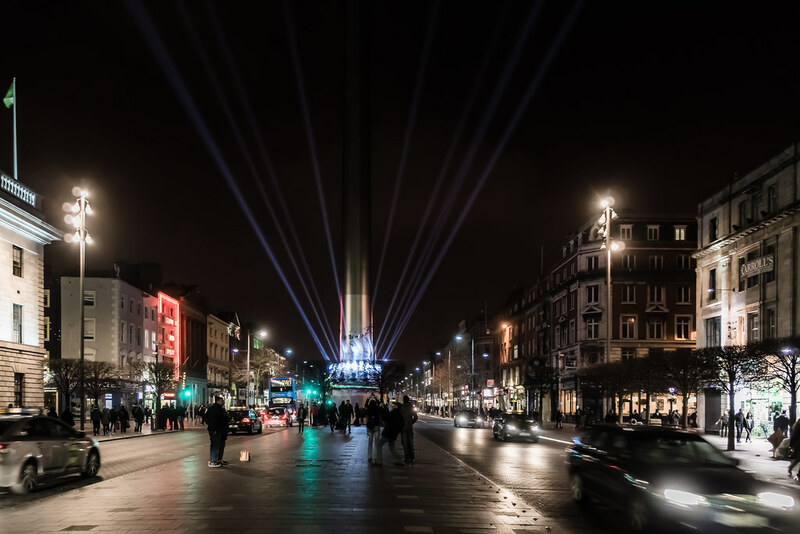 Initially entitled ‘The Monument of Light’ by Ian Ritchie Architects, the Spire is a landmark which has become synonymous with Dublin, situated in one of the Capital’s most historic locations. 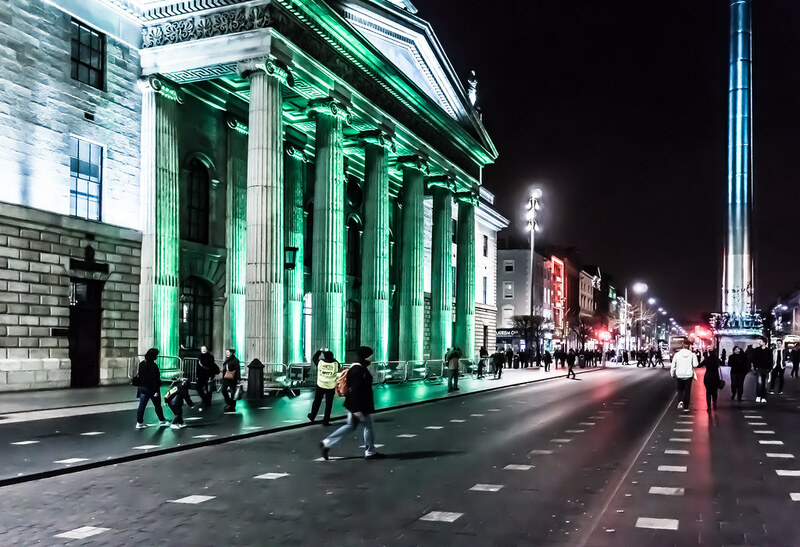 Also this evening, landmark buildings across the capital including the Christchurch Cathedral and Trinity College Dublin are being lit up green embracing the start of our national celebrations.